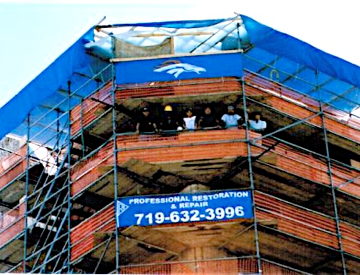 At Professional Restoration & Repair we guarantee our work. With our in-depth knowledge and experience, we can meet your special needs and provide quality products and service to ensure the integrity of your facilities. Our in-depth knowledge and experience allows us to complete tasks requiring unique methods and specialized treatments, which help you meet the maintenance needs for your, or your clients, facilities. Should you be in need of our services or have a problem you are not sure how to remedy, don’t hesitate. Call us at (719) 632-3996 for a free on-site consultation and the solution to your problem.